CPhI North America brings together the entire pharma eco-system, from early discovery to commercialization- including key business players and outsourcing service organizations, under one roof, offering you access to the right partners at any stage of development. It enables a discussion forum for the latest pharmaceutical innovation, emerging trends, insights, and community-building in North America. 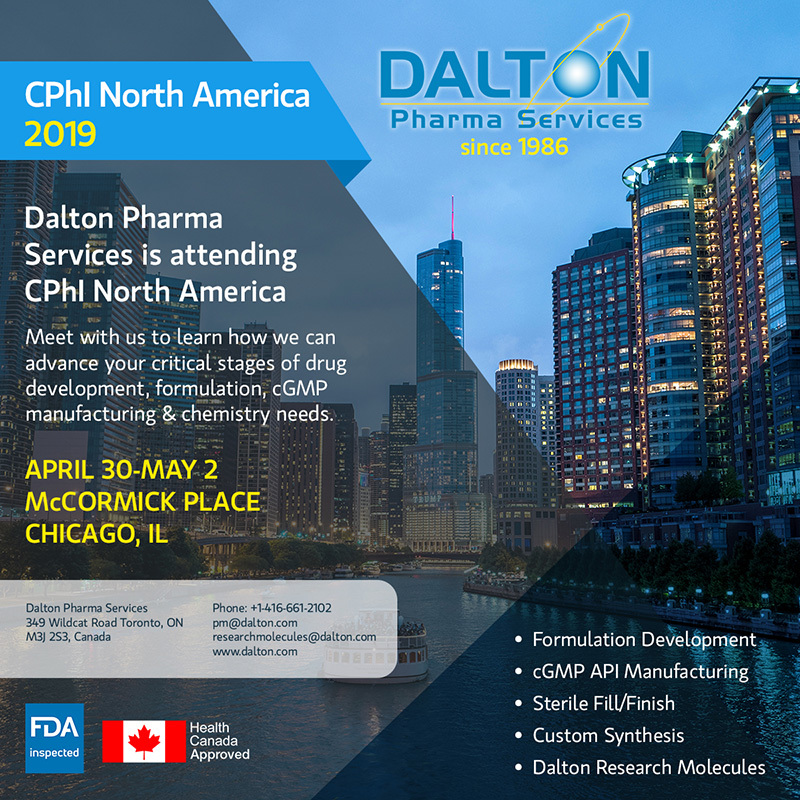 We welcome the opportunity to meet with you at CPhI North America, to learn about your business, understand your outsourcing requirements to address the critical stages of drug development, chemistry, manufacturing and controls (CMC) and GMP manufacturing. Learn more about CPhI North America 2019.